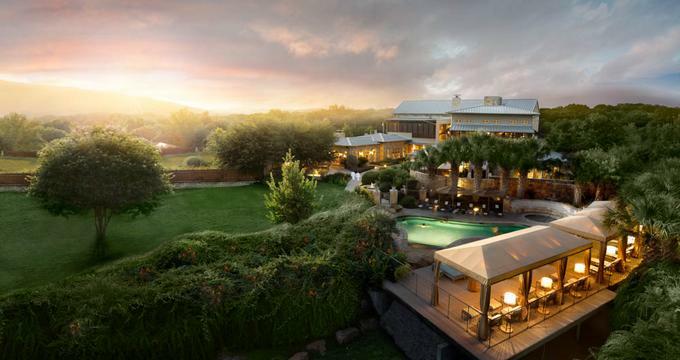 Nestled in the hills of central Texas on the shores of beautiful Lake Austin sits Lake Austin Spa Resort. 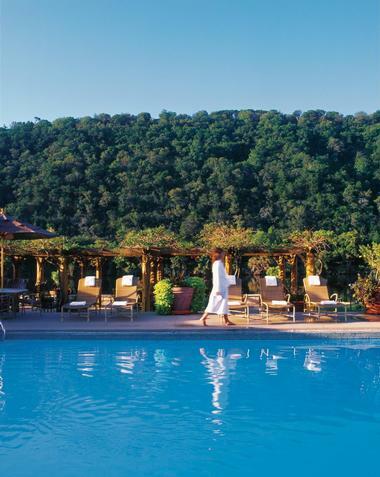 Although it is situated only a short drive from the capital city of Texas, Lake Austin Spa Resort brings its guests all the tranquility and peace the outdoors has to offer. Couples and groups will feel relaxed and at home at Lake Austin Spa Resort whether they have come for the healthy gourmet cuisine, the world-class spa, or to kayak on the lake or trek through the hills. Lake Austin is unique amongst spa resorts in offering all-inclusive room and board accommodations. The all-inclusive packages include a room or suite, three gourmet meals a day, fitness classes, and outdoor activities. Spa amenities are offered at an a la carte rate. Alternatively, guests can upgrade their package to include spa treatments. All of the guestrooms at Lake Austin Spa Resort are beautifully furnished and have been recently refurbished. Each room has free Wi-Fi, plush bath robes, signature bath amenities, an in-room safe and mini-fridge, fresh-cut flowers, soaking tubs, an iPod docking radio, a TV with cable and a DVD player, and personalized water bottles. The finest room at the resort is the Lady Bird Suite, which offers two custom-designed canopied queen beds, a spacious bathroom with a separate vanity area, comfortable overstuffed chairs, a dining table, a private outdoor garden, and an outdoor hot tub. The Lady Bird Suite has a magnificent view of Lake Austin. The Luxury Lakeview Rooms each have two double beds, a large bathroom and vanity area, original art that was commissioned for the resort, a private porch with a retractable awning, and a stunning view of the lake. The Luxury Garden Rooms, on the other hand, have a California King bed, twelve-foot ceilings with architectural details, elegant décor, a large bathroom and vanity area, and a private meditation garden with a fountain. The Premier Rooms have two queen beds, a sunlit bathroom, and a lush private garden that overlooks the lake. The Signature Rooms feature two queen beds and a sunlit bathroom, and they are centrally located near the main resort building. These rooms have a front porch with wicker rocking chairs. The spacious Premier Hot Tub Cabins boast private gardens and an outdoor hot tub, and they have one queen or two double beds, a fireplace, and a whirlpool bath. Guests at the resort dine at the Aster Café, where you can eat alone or at the friendship table with other guests of the resort – it’s a great way to meet new people while on vacation. The Aster Café prides itself on its healthy gourmet fare, which features bold flavors, seasonal produce, and a Texan flair. Room service is available for guests from 7:00 a.m. until 9:00 p.m. at no extra charge. The award-winning food at the Lake Austin Spa resort can be customized for those people who have food allergies or special diets. The LakeHouse Spa is a critically acclaimed indoor and outdoor facility with innumerable treatments to satisfy any guest. Whether guests want a massage, a body wrap, a manicure or a pedicure, or a facial, they can find it here at the spa. Guests who value privacy should consider reserving the Bamboo Room, an outdoor treatment area that holds a maximum of six people. It has everything a pampered guest could need: an in-ground hot tub with a waterfall, lush gardens, a treatment cabana for two, and a private outdoor shower. There is also a private indoor suite for two people that can be reserved. It has a tandem treatment area, a private bathroom, and an oversized dual-head shower. The LakeHouse Spa has massages for any taste, and customized treatments are available. There is a Muscle Tension Melt that uses herb-steamed hot compresses that specialists will massage into your tired muscles. The River Rock Massage uses warmed stones with lavender oil to ease your stress away. The Texas Starry Night massage is designed to help guests fall asleep – it starts with a lavender and chamomile oil massage, followed by a lavender body wrap and an herbed eye pack. The Thai massage will give you increased energy, as it provides stimulation and lengthens your muscles. The Star of India Massage starts with warm oil, which streamed over your forehead and massaged into your scalp and neck, and it is followed by a full-body massage designed to balance and soothe. Pre-natal massages with specially designed massage tables and comfortable pillows use aromatherapy oils to relax muscles and joints. These are only a few of the many massage offerings of the LakeHouse Spa. If you don’t want a full-body massage, foot and hand massages are available, as are scalp massages. Foot massages include acupressure to promote healing throughout your body. Stressed guests may wish to try acupuncture, an ancient method of relieving tension, and the LakeHouse Spa also offers traditional Asian glass cups, which are heated and placed on the body, stimulating circulation and promoting full-body health. Hari is another Asian tradition: it is acupuncture without the needles. Instead, a 14-carat gold instrument gently taps pressure points on your body, leaving you feeling less stressed and more balanced. Many different body treatments and wraps are available at The LakeHouse Spa. Most options include both exfoliation and moisturizing. The Gifts of our Garden option uses fresh herbs from the resort’s own garden. Guests are given a choice of which herb they would like for their treatment, and the selected herb is then mixed with Shea butter, sea salt, and essential oils and is used to exfoliate the guest’s skin. Guests are then invited to shower with aromatherapy gel, and after receive a full-body massage followed by a body wrap. Those who choose this treatment are left feeling rejuvenated, moisturized, and healthy from top to toe. Other body treatment packages include the Tour of Texas, which uses mesquite and agave nectar extracts to moisturize and soften skin, and the Best of the Southwest package, which gives guests the pleasure of a massage and wraps with lovely scents of jojoba, mango, and ginger. There are so many options at The LakeHouse Spa. Guests can choose a scent that they like from the dazzling array on offer, including pomegranate, papaya, guava, eucalyptus, coffee, fig, aloe, olive, and avocado, and they can spend their time wrapped or exfoliated with the chosen aroma. The LakeHouse Spa offers a variety of facials, both masks and peels. Many facials have anti-aging properties while others relieve tension, hydrate the skin, clear the sinuses, release toxins, and bring tone and firmness to aging skin. Waxing is available at the spa, as is lash and brow drying and lip repair. A full array of manicures, pedicures, and hand and foot treatments are available. The Lotus Salon is a full-service hairdresser and barbershop offering cuts, coloring, perms, blowouts, and scalp treatment. The service of a makeup artist is also on offer, and guests can have their makeup done for day or evening and receive instruction in makeup application. Lake Austin Spa Resort is fitted with an Olympic-sized swimming pool and a fitness center where guests can work out alone or with the assistance and training of a fitness professional. Aqua Fit classes are terrific options for those who desire a low-impact workout. Water fitness puts no pressure on the joints, so even guests with arthritis and rheumatism can find suitable fitness instruction. Aqua Fit classes are suited to all ages and fitness levels. The class schedule includes full body workouts, aerobics, core training, and guided meditation. Cardio classes are available and include interval workouts, kickboxing, and high intensity training on stationary bicycles. Guests can enjoy the lively Dance Fit classes offered by the fitness center, and everyone is welcome to have fun at the nightly dances held in the resort’s common area. The resort also offers yoga instruction, Pilates, Tai Chi, guided meditation, and stretching classes to help ease the stress out of tired muscles. 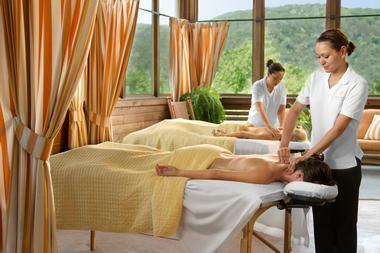 Guests who love the outdoors will find fulfillment at the Lake Austin Spa Resort. Guided and solo hikes of several different lengths wind through the central Texas hills. Instruction is available in stand-up paddle boarding and kayaking, and guests are welcome to use the paddle boards and kayaks at their discretion. Water bikes are also a popular choice. Sunset cruises are well-liked by spa guests, and powerboat cruises are on offer during the day. All-inclusive three-night packages start from $1,280 per person, based on double occupancy. The rate includes accommodations, healthy spa meals, unlimited fitness classes, activities and discovery programs. 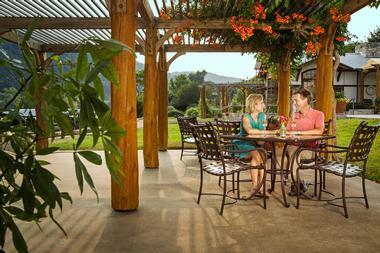 Find more great Romantic Weekend Getaways in Texas.